Within the last week we have realized the far-reaching impact of brand Jamaica. While many of us are cognizant of the fact that our culture permeates geographical as well as cultural boundaries, we are still amazed when we receive tangible evidence of its impact. 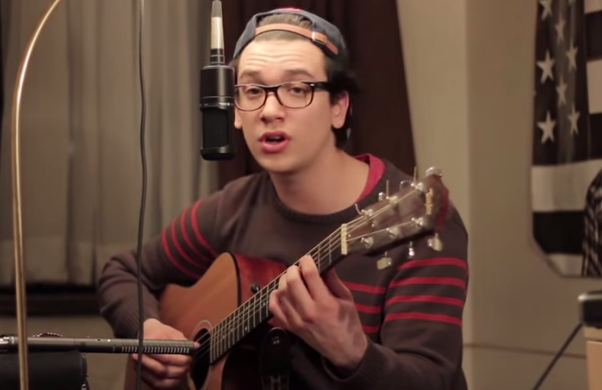 Allow me to introduce you to Lucas Dipasquale, a native of Markham, Ontario who recently uploaded a cover of the dancehall song Ravin, originally song by Andre Sutherland , otherwise known as Popcaan. 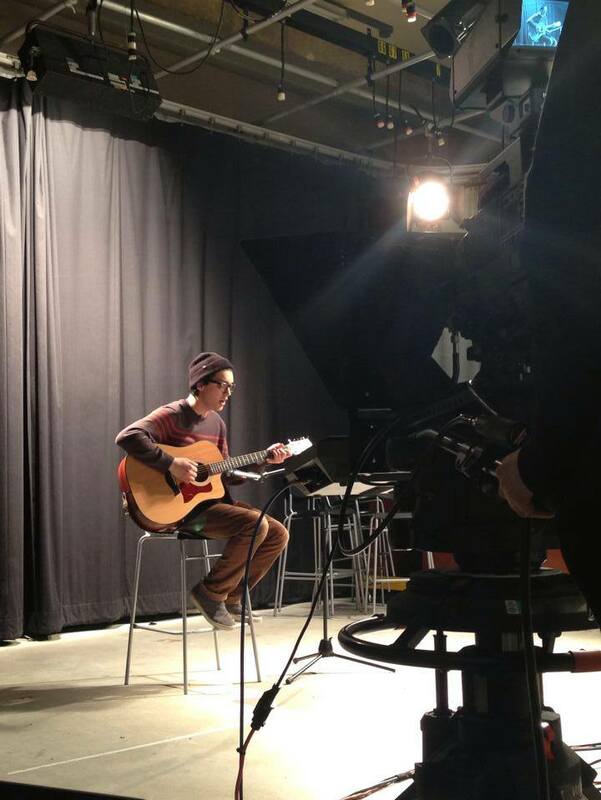 Lucas’ rendition done in acoustic format has since generated thousands of views and continues to take the social media world by storm. What’s particularly intriguing about the video is the fact that Lucas has managed to destroy the stereotypical view of dancehall music and it’s followers. Consequently, Lucas has skyrocketed to popularity among Jamaicans at home and within the diaspora. We already know that reggae music is respected worldwide, with Bob Marley’s album being recognized as Best Album of the Century by Time magazine. However, dancehall music has not been able to garner the same accolades as it’s predecessor. Generally, many non-Jamaicans speak of the two genres interchangeable despite the fact that reggae and danchall differ in some aspects, the details of which I will not belabor here. A quick web search may aid in elaborating on the dissimilarities. Lucas’ cover has appealed to a variety of audiences, and I believe has the ability to expose other people to a genera they may otherwise have ignored. I recently talked with Lucas regarding the story behind his most recent YouTube video. The Ravin rendition was not Lucas’ first song cover; he has been making videos and posting them to YouTube since he was 15 years old. Asked about some of his biggest musical influences, he was reluctant to name just one. Among some of the most influential were singers/songwriters Dallas Green, Ed Sheeran, and Justin Vernon. Lucas listens to a variety of genres, with dancehall being a recent favorite. 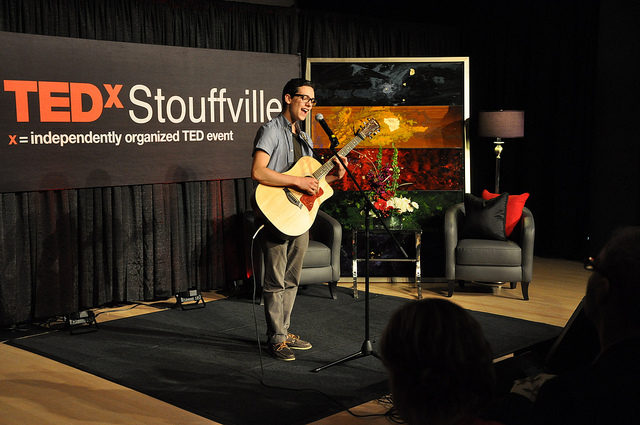 Lucas’ acoustic performance was particularly impactful with the his apparent grasp of the Jamaican dialect (patios). Asked about how he had such a strong command of the language in his performance, Lucas credits his friend of Jamaican decent, Robert Flynn. A quick view of Lucas’ YouTube channel demonstrates his love for music. Lucas has done covers for some of the most popular songs to date, with his cover of Ed Sheeran’s “Give Me Love,” the second most viewed video (currently) on his YouTube channel, and the most viewed prior to the Ravin cover. To date, the Ravin cover-song has generated over 74 thousand views and continues to be shared via Twitter and Facebook. Within hours, Lucas’ began receiving feedback from notable individuals around the globe. He received very positive feedback and has been given significant amount of airtime on local Jamaican radio. Most recently Lucas was interviewed by Jamaican media personality Khadine Hylton, more properly known as Miss Kitty. The segment was aired on local Jamaican radio station, Nationwide FM. Despite the rave reviews, Lucas has remained humble. Lucas is undoubtedly appreciative of the support, and indicated how surreal it has been. One of the most awe-inspiring moments was having his video retweeted by the original artiste, Popcaan. In addition, other well-known musically artistes have given their kudos to the young entertainer, they include Collie Buddz (Colin Patrick Harper), and Kano (Kane Robinson) to name a few. Currently Lucas is exploring all his options, and is cautiously weighing the pros and cons of some of the offers that have already been made to him by producers in the entertainment industry. Asked wether he would record additional dancehall song covers, Lucas responded with a resounding, yes! However, his fans should be cautiously patient as Lucas is also currently enrolled in the Radio and Television Arts program at Ryerson University in Toronto. His first commitment remains his academic pursuits, and he promises to continue producing songs as time allows. I would be remiss to not note that Lucas is unabashed with praise regarding the people who have been there with him in his journey. One of his closest friends, Kelly, is featured on a few of his covers. Kelly has a few songs of her own. Together, they have made some amazing musical covers and both appear to have a great future ahead of them. © Dimitri Lyon and dimitrilyon.wordpress.com, 2014. Unauthorized use and/or duplication of this material without express and written permission from this blog’s author and/or owner is strictly prohibited. Excerpts and links may be used, provided that full and clear credit is given to Dimitri Lyon and dimitrilyon.wordpress.com with appropriate and specific direction to the original content.